Have you booked your table .... for the festive period we are offering a shared main appetizer and any pizza/pasta or main salad for $18.50 per person with a confirmed reservation and minimum of 4 people. 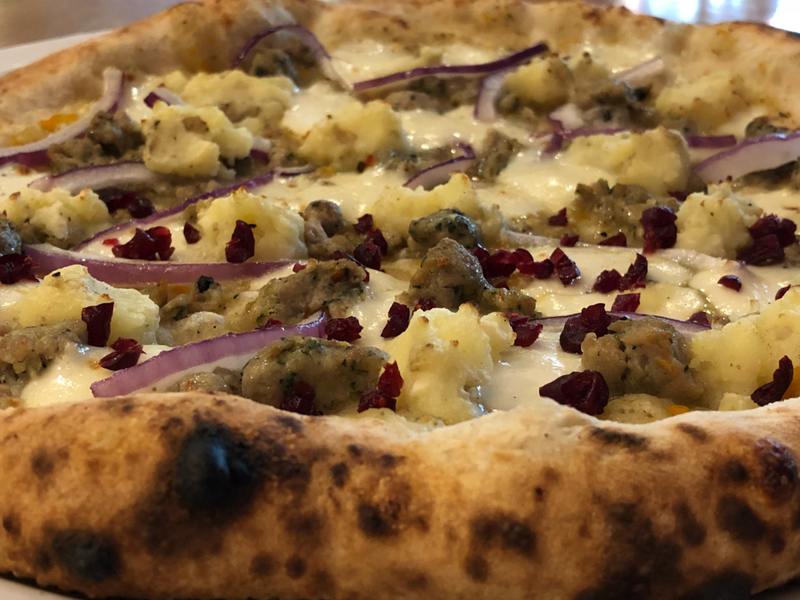 Our pizza of the month features house made turkey sausage, roasted mashed garlic potatoes, sliced onions, topped with dried cranberry on a base of white wine jus and fior di latte cheese. This dark, English Porter yields complex aromas of molasses, coffee, smoke, toasted nuts and chocolate. Stranger than Fiction introduces itself with powerful tastes of malt and a creamy mouthfeel, then departs slowly with lingering smoky notes.